We're thrilled to have Lurlene McDaniel stop by to share more about her latest novel, THE GIRL WITH THE BROKEN HEART. Lurlene, what was your inspiration for writing THE GIRL WITH THE BROKEN HEART? The opportunity to showcase the plight of the Tennessee Walking Horse and the issue of "soring." The night long vigil with Kenzie and Austin and the ailing horse. How long did you work on THE GIRL WITH THE BROKEN HEART? Approximately 10 months, from basic research to delivering completed novel to my editor. How to integrate research into plot line in an interesting way. And that every book has its own issues. No cookie cutter way to write a novel. What do you hope readers will take away from THE GIRL WITH THE BROKEN HEART? Life is a gift and always worth living! A love of horses and rehabilitation of abused and neglected horses. What's your writing ritual like? Only when I'm not trying to write. Work at home or at a coffee shop or the library, etc? I work in my home office. If possible, write every day. Kenzie Caine is enrolled at Vanderbilt University, with the goal of becoming a veterinarian. When she lands a summer job caring for and helping to rehabilitate abused horses at the Bellmeade Estate stables, she is over-the-moon happy. One place she does not want to be is at home with her parents. Since the tragic death of Kenzie's younger sister, her mother has unraveled and her father has lost Kenzie's trust. At the stables, Kenzie is in her element. But a serious heart condition limits her ability to complete the more physical aspects of the job, so her employers have tasked the charming Austin Boyd with helping her. But Austin has secrets. 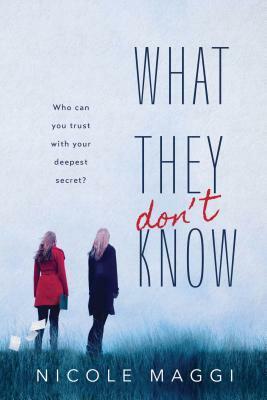 And as Kenzie and Austin become closer, those secrets threaten to harm their relationship, as well as reveal other startling truths. Lurlene McDaniel began writing inspirational novels about teenagers facing life-altering situations when her son was diagnosed with juvenile diabetes. “I want kids to know that while people don’t get to choose what life gives to them, they do get to choose how they respond,” she has said. Her novels are hard-hitting and realistic, but also leave readers with inspiration and hope. McDaniel’s bestselling books have received acclaim from readers, teachers, parents, and reviewers. They include The Year of Luminous Love and its companion, The Year of Chasing Dreams; Don’t Die, My Love; Till Death Do Us Part; and many more. Lurlene McDaniel lives in Chattanooga, Tennessee. Visit her online at LurleneMcDaniel.com and on Facebook and follow her on Twitter at @Lurlene_McD. Have you had a chance to read THE GIRL WITH THE BROKEN HEART yet? Is there a non-writing topic that inspires you to write? Do you try to write every day? Share your thoughts about the interview in the comments! Happy Monday! 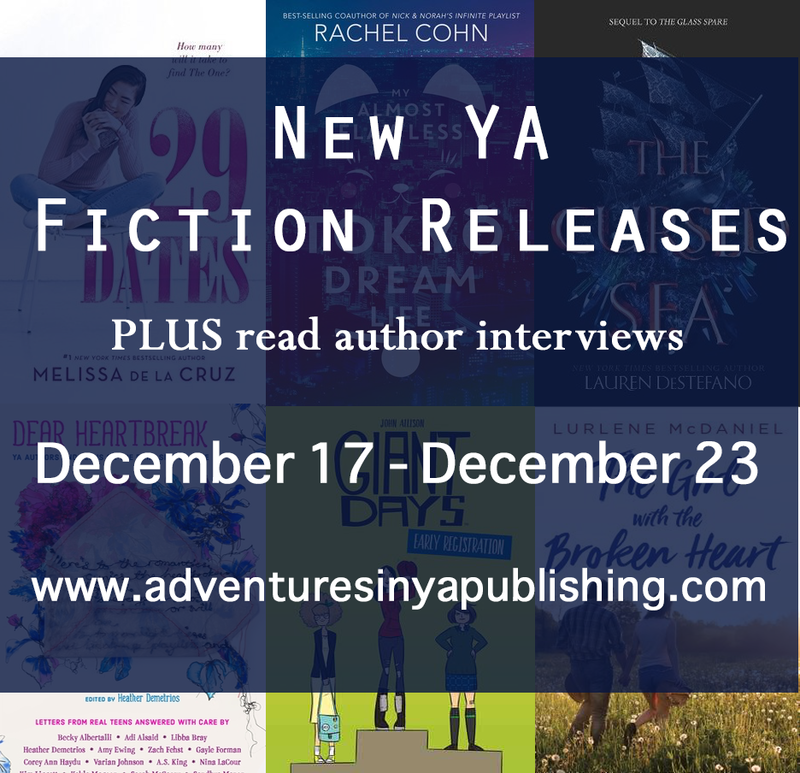 The holiday season is fast approaching but the new book releases don't seem to stop! 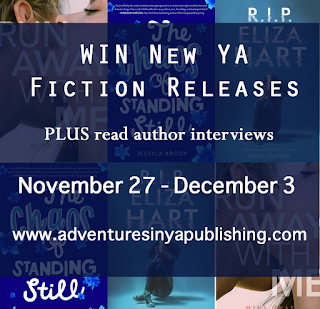 Make sure to check out all the new releases and enter to win below! 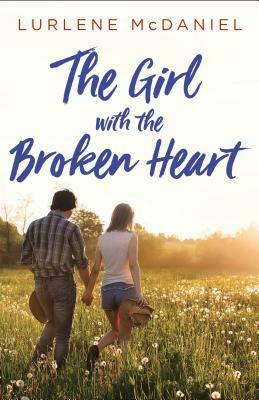 Author Question: What is your favorite thing about The Girl with the Broken Heart? The mystery plot I was able to pull through the story. 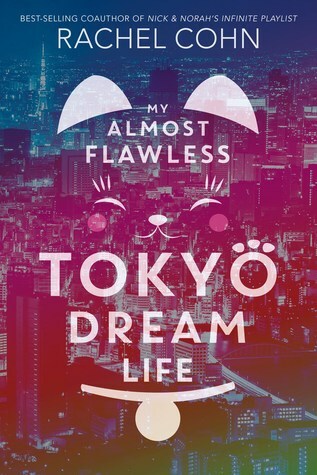 I wanted to keep readers guessing about Austin, the lead male character. This Lie Will Kill You by Chelsea Pitcher: Rosi H.
Ji-su’s traditional South Korean parents are concerned by what they see as her lack of attention to her schoolwork and her future. 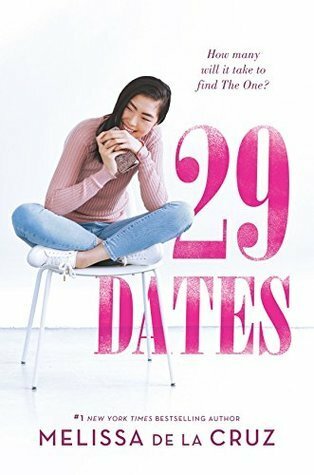 Working with Seoul’s premiere matchmaker to find the right boyfriend is one step toward ensuring Ji-su’s success, and going on the recommended dates is Ji-su’s compromise to please her parents while finding space to figure out her own dreams. But when she flubs a test then skips out on a date to spend time with friends, her fed-up parents shock her by shipping her off to a private school in San Francisco. Where she’ll have the opportunity to shine academically—and be set up on more dates! Navigating her host family, her new city and school, and more dates, Ji-su finds comfort in taking the photographs that populate her ever-growing social media account. Soon attention from two very different boys sends Ji-su into a tailspin of soul-searching. As her passion for photography lights her on fire, does she even want to find The One? And what if her One isn’t parent and matchmaker approved? Take a trip through the past in these early Giant Days stories, and discover the origin of Daisy, Esther and Susan’s friendship as they embark on orientation, getting-to-know-you-exercises, and collisions with a secret society devoted to Black Metal. 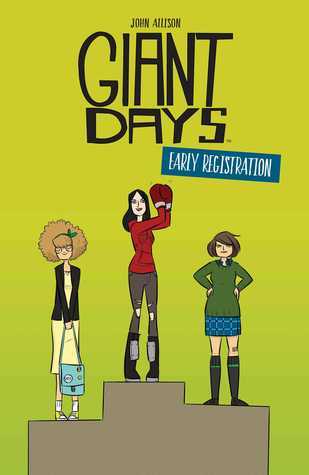 Collecting the original, self-published Giant Days comics for the first time, creator John Allison (Bad Machinery, Scary Go Round) takes us back to where it all started in Giant Days: Early Registratio. We're thrilled to have Chelsea Pitcher here to tell us more about her latest novel, THIS LIE WILL KILL YOU. Chelsea, what was your inspiration for writing THIS LIE WILL KILL YOU? The story was inspired by Clue, the board game and the movie. Five characters are invited to a beautiful mansion, only to realize they’ve been lured by someone who knows all of their secrets. Is this person hiding behind the scenes? Standing right in front of them? Or maybe it’s a conspiracy, and everyone is guilty of something. 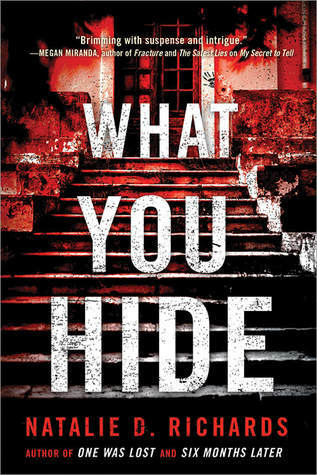 The fun part is, you get to be the detective and figure out who did what… Before it’s too late. Before THIS LIE WILL KILL YOU got published, I’d written six novels. Three of them were published. Three of them were not—for good reason. Now, I get to think of those as my practice novels. I needed to write them in order to write what came next. Overall, it took me about ten years to get published, but not all of that time was spent writing. Some of it was spent studying in school. Some of it was spent out in the world having adventures. And, all the while, I was reading fabulous books, learning from the best teachers out there: authors. 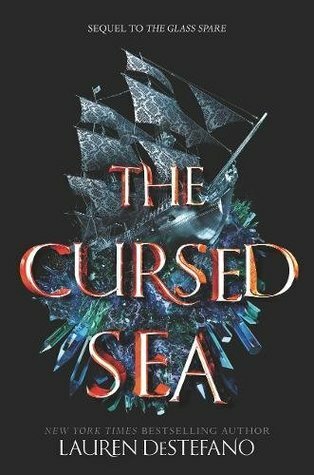 I’d just finished the DAUGHTER OF SMOKE AND BONE series when I started writing this book, which is funny, because in terms of genre, the books are totally different. 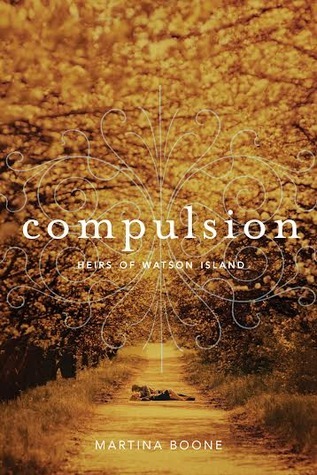 But Laini Taylor taught me so much about how to write third person multi-POV— to create a large cast of characters, each with a distinct voice and perspective, whose stories weave together to reveal a tapestry. 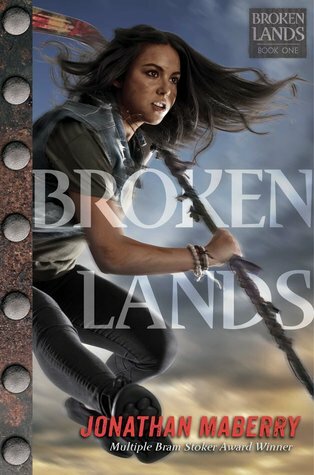 I don’t think I would’ve been able to write this book without reading her series first. Beyond that, there are elements of WE WERE LIARS, ONE OF US IS LYING, and the Christopher Pike books I read as a teen. Books that keep you guessing about the truth, and keep you studying each character’s version of the events… those books will resonate most with fans of THIS LIE WILL KILL YOU. 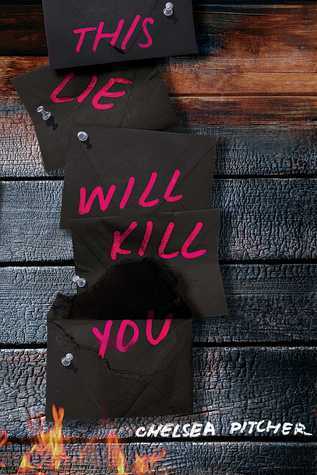 Have you had a chance to read THIS LIE WILL KILL YOU yet? How many practice novels have you written? Are you learning from other authors as you read? Share your thoughts about the interview in the comments! Happy Monday! We hope the new month is treating you well. Make sure to check out all the new releases and enter to win below! Author Question: What is your favorite thing about This Lie Will Kill You? In fact, one of my characters would be perfectly happy if you never figured out what’s really going on. So you’ll have to pay close attention. There are clues everywhere, and if you’re vigilant, you might just catch the culprit in the act! Amber & Dust by Lyra Selene: Candice G.
Love a la Mode by Stephanie Kate Strohm: Emma M.
All the Wandering Light by Heather Fawcett: Calvin F.
Fire & Heist by Sarah Beth Durst: Shannon M.
Paper Girl by Cindy R. Wilson: Kate F.
Stronger, Faster, and More Beautiful by Arwen Elys Dayton: Jennifer A.
Valiant by Merrie Destefano: Matt M.
We're excited to have Martha Brockenbrough here to tell us more about her latest novel, UNPRESIDENTED: A BIOGRAPHY OF DONALD TRUMP. Martha, what was your inspiration for writing UNPRESIDENTED? This book was inspired by the results of the 2016 election, which were surprising and alarming for a lot of reasons. I knew there would be biographies of Trump for young readers, and I was afraid to think about kids reading a typical presidential biography. These tend to be aspirational in tone, and I did not find a great deal of aspirational material in what I’d seen of Trump on the campaign trail. I followed the election closely and, like many, was shocked by the norms of civility and truthfulness he routinely violated. I understood that many people felt frustrated with Washington D.C. but—having been a newspaper reporter early in my career, covering a variety of elected officials—I did not see how putting an untruthful, misogynistic, racist in the Oval Office was going to solve the problems everyday Americans face. The book was a challenge. Although it is a critical look at his life and political career, I wanted it also to be fairly and accurately presented. Those two things are possible to do at one time. In the case of Trump, a critical eye is vital. Many independent sources have documented his record of deceptive and false statements. This is a problem. Civil society depends on the truth. Every interaction we have as people depends on a certain amount of trust, whether it’s trusting that the water from the tap is safe to drink, or trusting that the bank is keeping your money accurately accounted for, trusting that the car is going to stop at the red light. I could go on, but all of these things are norms. Trump shattered a lot of norms, most significantly the one where public officials make a sincere attempt to be truthful. Everybody gets things wrong some of the time. No one lies quite like Trump, and it’s dangerous to pretend otherwise. It’s also fair to say this. It is factually accurate, and even though it is a negative trait, it is one of his defining ones. One challenge was to cover his whole life, campaign, and the first 500 days of his presidency and make all of the complexity clear and accessible. I read dozens of books, pored over legal documents and government records, and avidly followed media coverage to make sure I had lots of reliable sources. That said, there are some really fun scenes in the book. The announcement of his candidacy, the mortification he experienced when Obama roasted him at a White House Correspondents Dinner, the triumph he experienced when he got his promised tax cuts—even the conversation he and his first wife had about what to name their firstborn son. How long did you work on UNPRESIDENTED? It took about a year to research and about eight months to write. After I read The Diary of Anne Frank when I was a kid, I asked myself, “Would I have been a Nazi?” Writing this book taught me that I would not collaborate with people who abuse their power and advocate policies that harm vulnerable populations. Twelve-year-old me is proud. What do you hope readers will take away from UNPRESIDENTED? I hope readers will have a clear understanding of who Trump is, why he is different from other presidents, and what some of the issues at stake are for Americans. We have a president who lies, who has not disclosed important things about his finances, who is using the presidency for personal profit, and who for some reason continually refuses to accept the fact that the Russian government interfered with the 2016 election, breaking U.S. laws with some specific goals: to divide Americans, to discredit Hillary Clinton, and to help Donald Trump get elected. If I’m writing fiction, I like to listen to music to get my heart into the right place for the scene. With nonfiction, I tend not to listen to as much music. There is a lot of information to juggle and I don’t want any distractions. Oh, there is so much to say! But there are some fundamentals. You matter. Your story matters. Read widely and deeply so you get a sense of what others have done. And then find your own stories, your own themes, and your own language to tell your stories in the best way possible. It’s not easy to do, but believing in your own self and your own vision and committing yourself wholeheartedly to that will get you there. I’m working on a novel set in the near future. 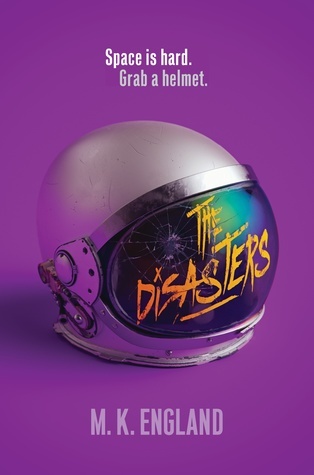 It’s a sort of dystopian lesbian romantic comedy with flying cars, bees, and jokes about sandwiches. Martha Brockenbrough (rhymes with broken toe) is the author of two books for adults and eight books for young readers (with several others on the way, including a biography of Donald Trump, UNPRESIDENTED, coming in Fall '18). 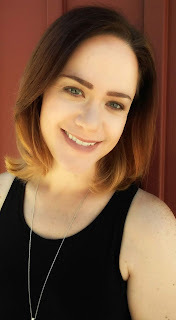 A faculty member at Vermont College of Fine Arts and blogger for the Society of Children's Book Writers & Illustrators,* she's also the founder of National Grammar Day (every March 4), and she's written game questions for Cranium and Trivial Pursuit. The former editor of MSN.com, Martha has interviewed lots of celebrities, including the Jonas Brothers and Slash (his favorite dinosaur is the diplodocus). 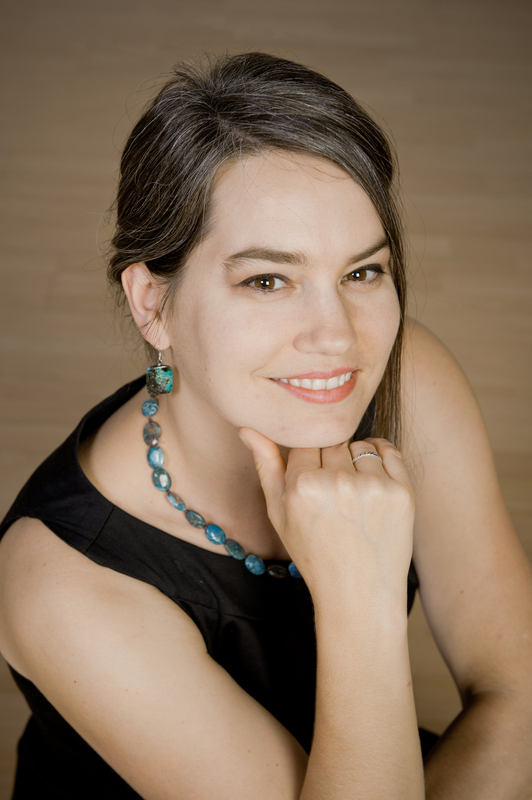 Her work has been published in a variety of places, including The New York Times. She also wrote an educational humor column for the online encyclopedia Encarta for nine years. She lives in Seattle with her family. Her favorite kind of food is Indian, although Thai runs a close second. Besides writing, she likes board games, playing music with the family band, travel to places far and near, drinking lots of coffee, and working out really hard at the gym. 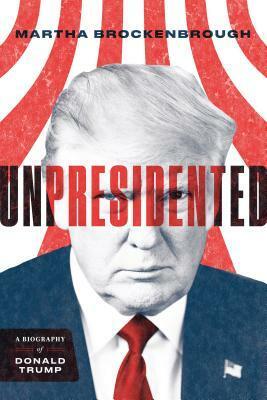 Have you had a chance to read UNPRESIDENTED: A BIOGRAPHY OF DONALD TRUMP yet? Are you reading widely and deeply? Are you finding your own stories? Share your thoughts about the interview in the comments! We're thrilled to have Merrie Destefano stop by to tell us more about her latest novel, VALIANT. Merrie, how long did you work on VALIANT? VALIANT was the fastest book I ever wrote. It took me only three or four months to finish. However, it took years to edit. My agent and I shopped the book for five years, often doing edits for an editor who requested changes. 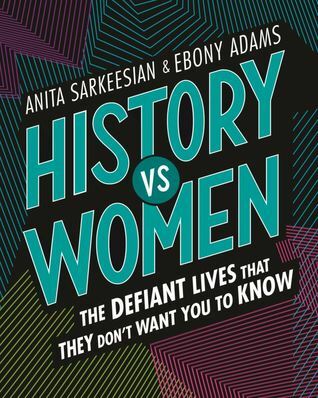 So, to me, it really feels like this book took three months to write and five years to edit. What do you hope readers will take away from VALIANT? That we are all heroes and that we each have the capability to either save someone else, or to make a profound effect upon their life. Also, that sometimes you are strong, even when you’re at your weakest. I have many different rituals. Some pertain to editing, some to writing. For writing, I need music—preferably a fairly new playlist because new music forces my brain to think in a new and different way. If I’m at home, I also need incense (Nag Champa or Song of India Temple Incense are my favorites), burning candles and/or a string of Christmas lights. A snack and a drink are fun too. I love something crunchy (it actually helps to stimulate your brain) like popcorn or raw veggies, plus an iced latte. And an absolute necessity, no matter whether I’m working at home or at a coffee shop, is a lap blanket. I always get cold when I write, even in the middle of a sweltering summer. 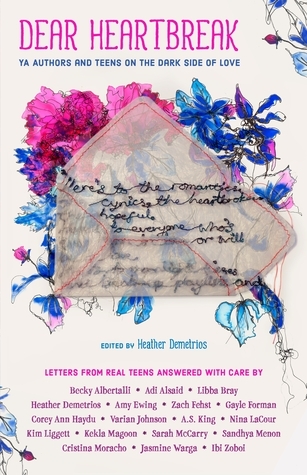 Novelist and magazine editor, Merrie Destefano writes dark stories with a thread of hope. 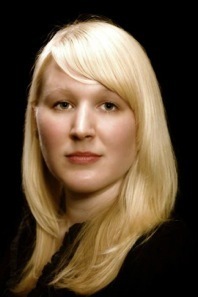 She’s the editor of Victorian Homes magazine, Zombies magazine, and Haunted: Mysteries and Legends magazine. 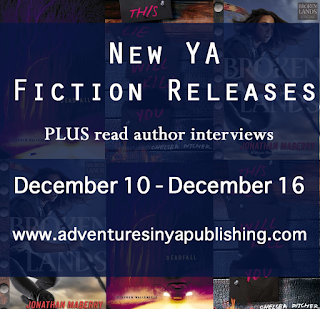 Her novels include, Lost Girls, Fathom, Shade, Afterlife and Feast, and she’s been published by Entangled Teen and HarperCollins. Her next novel, Valiant, is scheduled to release in December, 2018. For more information, visit her website at www.merriedestefano.com. 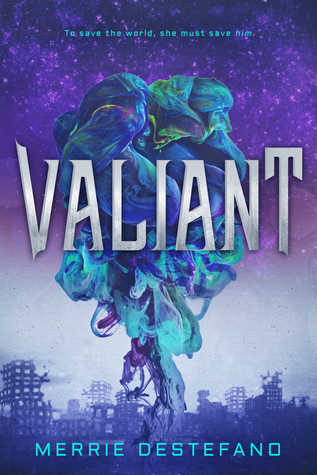 Have you had a chance to read VALIANT yet? Does new music force your brain to think differently? Do you find crunchy foods help to stimulate your brain? Share your thoughts about the interview in the comments! We're delighted to have Arwen Elys Dayton swing by to share more about her latest novel, STRONGER, FASTER, AND MORE BEAUTIFUL. Arwen, what was your inspiration for writing STRONGER, FASTER, AND MORE BEAUTIFUL? We are at a frontier in medicine and biology. Since the DNA editing tool known as CRISPR became widely known, in about 2012, there has been an exponential increase in the ability to change the genetic code—in humans as well as other species. Beyond CRISPR, there are tremendous advances in other areas, such as growing human-compatible organs in pigs, building organs from scratch in the lab, and selecting the exact right embryo to become your future child. The first priority for all of these technologies will of course be to fight disease and prevent suffering. There are thousands of inherited disorders cause by a mutation in a single gene. If you could use a tool like CRISPR to fix that gene, shouldn’t you? And likewise, if we could edit our own immune cells to turn them into cancer-fighting super-warriors, shouldn’t we? Almost everyone would agree that we should. But genetically removing disease from the human species opens the door to other changes that are more difficult to categorize. If we could make our children less prone to accumulating plaque in their arteries, for example, would that be combating an illness or would it be a sort of unnatural enhancement? What about determining height? Eye color? Intelligence? There are some groups of people, in remote parts of the world, who live very long lives on average. If we took a few of their genes and added them to our children’s DNA, would we be warding off the “disease” of aging, or would we be fundamentally altering the characteristics of the next generation? Stronger, Faster, and More Beautiful was a way for me to explore these questions through intimate, emotional stories that made me both enchanted with and also slightly terrified by what may await us in the decades to come. More enchanted than terrified, I think—because I am an optimistic person. In the book, there are semi-identical twins who are both dying of organ failure. When one falls into a vegetative state, the decision is made to harvest the healthy tissue from her organs to rebuild her brother’s and give him a chance at life. It is an understandable decision, but that doesn’t make it any easier to live with. Later on, there is a boy who was modified, when he was only an embryo in a petri dish, to increase his intelligence—with unexpected results. What happens to a “designer baby” whose design doesn’t work out? Beneath the personal are medical issues that become political and even religious debates. What if governments cannot agree on which human alterations should be allowed? Should a country, given the technological capability to do so, have a right to forcibly modify its convicts, for example, turning them into half-machine, worker-slaves for the duration of their prison sentence? What is the line between human and no-longer-human, and when are we in danger of crossing it? These conundrums were my inspiration and they lie at the heart of Stronger, Faster, and More Beautiful. My writing ritual is mostly about being uncomfortable. I have to be willing to be uncomfortable for a while if I’m ever going to get started on a new book. When starting on a new story, I’m usually quite excited about what I want to write, but I haven’t figured out how to write it. That leap from zero to one appears to be infinite, and while I’m still at zero I feel ill at ease, restless, fidgety. Honestly I’d rather do anything else than sit in front of a computer or a blank pad of paper. And the world is full of amazing distractions. As but two examples, did you know there are videos of people grooming baby owls with Q-tips and also endless streams TV shows you can watch at any time of day and for as long as you want on something called Netflix? Of course you did. These things are like drugs custom made to remove any hint of mental discomfort or boredom. But...for me, at least, discomfort and boredom are the stepping stones to a story. If I can simply live with those feelings, and with a blank page, for a few hours, a story will begin to appear. And once I’m actually writing, things are easier. I start to enjoy myself. What do you hope readers will take away from STRONGER, FASTER, AND MORE BEAUTIFUL? The future of the human species is being created right now, in university research labs and biotech companies all over the world. I hope Stronger, Faster, and More Beautiful allows you to experience what that future may be like—beautiful, sad, frightening, and hopeful—through the eyes of young people living in it. 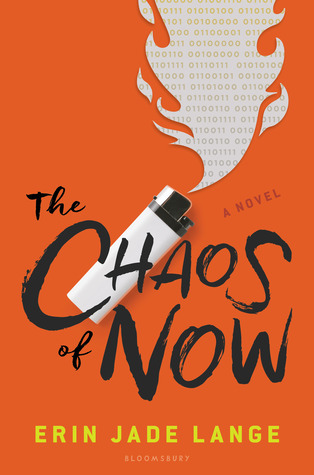 This novel in six parts is a look at the unlimited possibilities of biotech advances and the ethical quandaries they will provoke. Dayton shows us a near and distant future in which we will eradicate disease, extend our lifespans, and reshape the human body. The results can be heavenly—saving the life of your dying child; and horrific—the ability to modify convicts into robot slaves. 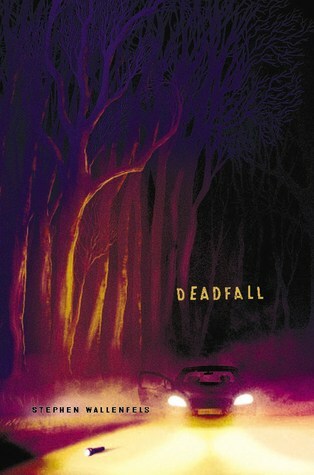 Deeply thoughtful, poignant, horrifying, and action-packed, this novel is groundbreaking in both form and substance. Stronger, Faster, and More Beautiful examines how far we will go to remake ourselves into the perfect human specimen, and what it means to be human at all. 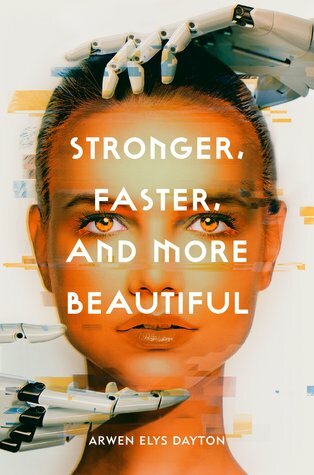 Arwen Elys Dayton's new novel is Stronger, Faster, and More Beautiful, out on December 4, 2018. She is the best-selling author of the Egyptian sci-fi thriller Resurrection and the near-future Seeker Series. She spends months doing research for her stories. Her explorations have taken her around the world to places like the Great Pyramid at Giza, Hong Kong, and the Baltic Sea, as well as down many scientific rabbit holes. Arwen lives with her husband and their three children on West Coast of the United States. 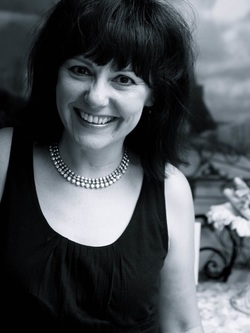 You can visit her and learn more about her books at arwenelysdayton.com and follow @arwenelysdayton on Instagram and Facebook. Have you had a chance to read STRONGER, FASTER, AND MORE BEAUTIFUL yet? Do you need to be uncomfortable to start writing? Are you now going to look up videos of people grooming baby owls with Q-tips? Share your thoughts about the interview in the comments! ALL THE WANDERING LIGHT is book 2 of the Even the Darkest Stars duology, and we're excited to have Heather Fawcett here to chat about it. Heather, how long did you work on ALL THE WANDERING LIGHT? Three to four months for the actual writing, but probably six to ten months overall. I draft quickly and revise slowly! My writing process is as follows: extensive outlining followed by rapid writing, which is then followed by several months of revising, first on my own and then with feedback from beta readers and my editor. In some ways, the road was long, and in others, it was very short. 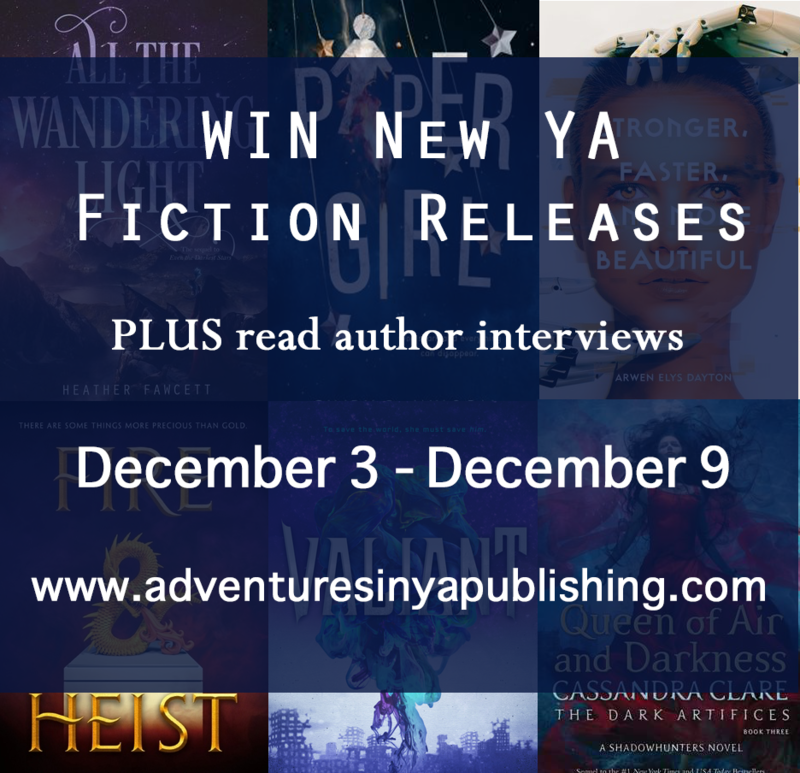 I wrote five or six books, starting at age 13 or 14, before I wrote Even the Darkest Stars (Book One in the series; All the Wandering Light is Book Two), which got me my agent and a publishing deal. None of those books will ever see the light of day, which is a good thing! I think my agent signed me less than two weeks after I started querying, and ETDS sold a week or so after she started shopping it around. I love listening to music as I write. 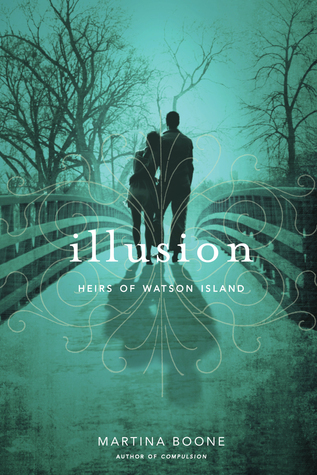 I listened to a lot of Of Monsters and Men and Beach House while writing this series. In the winter, I generally write in coffee shops. In the summer, my favourite place to write is the beach. Read! Read as much as you can in the genre you want to write, but also read other genres every once in a while. Reading doesn't just teach you how to write, it tells you what stories, characters, and archetypes you’re drawn to as a reader. Those are the kinds of stories you should be writing. Don’t write a certain kind of story because you think it’s trendy or it’s what you “should” write; focus on what you’re passionate about. That passion is what creates engaging books. Have you had a chance to read ALL THE WANDERING LIGHT yet? Are you reading inside and outside of your genre? Is it helping you figure out the types of stories you should be writing? Share your thoughts about the interview in the comments! 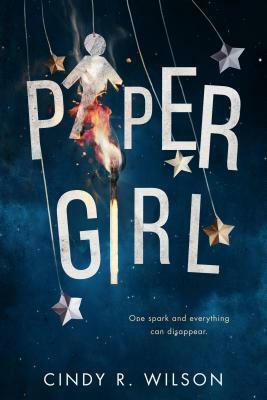 We're delighted to have Cindy R. Wilson join us to share more about her debut novel, PAPER GIRL. Cindy, what was your inspiration for writing PAPER GIRL? PAPER GIRL was inspired by my own experience with anxiety disorder. It’s something I’ve dealt with since I was a teenager but got worse as I entered my twenties. I wrote PAPER GIRL as a way to acknowledge something I hadn’t told a lot of people about, and then to try to work through. As the story grew, I knew it was also a way to reach readers who might be dealing with the same thing. One of the scenes I found difficult to write was when the heroine, Zoe, reveals to the hero, Jackson that she has anxiety disorder and then tries to explain it to him. Just like in real life, she finds it hard to explain how drastically small situations and small stresses can affect her. 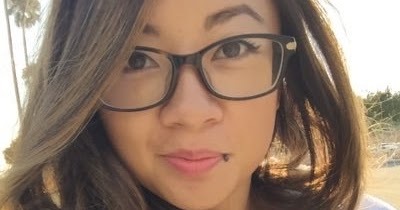 How a simple conversation with a stranger can make her freeze. How a public situation can cause a panic attack when to others it might not seem like a big deal. There are several that remind me of PAPER GIRL or vice versa. FINDING AUDREY by Sophie Kinsella because the topics are similar. 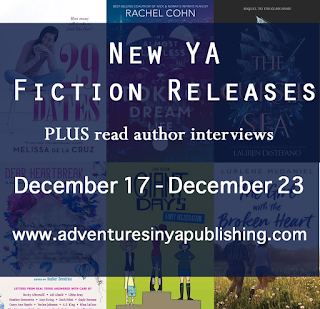 Also, GIRL AGAINST THE UNIVERSE by Paula Stokes and EVERYTHING, EVERYTHING by Nicola Yoon. PAPER GIRL also has the light-heartedness you’d find in a Kasie West book, but serious themes similar to Rainbow Rowell and John Green. How long did you work on PAPER GIRL? I wrote the first draft of PAPER GIRL in five weeks and then got feedback from my critique partners and a few CP’s which only took a few days to incorporate. I didn’t touch it again until we made some bigger tweaks during editing, like adding in more scenes with the main characters. It’s okay (it’s good even) to be true to who you are and not be embarrassed about your short-comings. Odds are, there’s someone else in the same boat. The more you put yourself out there, the more you discover about yourself and others and the greater possibility of finding someone who completely understands what you’re going through. What do you hope readers will take away from PAPER GIRL? I hope readers take away the message of how important it is to own who you are. Even our weaknesses can make us stronger people. I know society often tells us to be a certain way, but some of the greatest people in history chose their own path and created great and wonderful change. It was very long and definitely felt too hard sometimes. I started my first book when I was twelve, wrote my first query letter to try to find an agent before I turned twenty, and wrote handfuls of books after that time (for about six years). I didn’t try to publish them all. In fact, many of them I wrote just for fun. But once I started officially writing YA fiction, it took me five books and about five years to sign with an agent (which actually happened after I got my first offer of publication). And it’s been a few years since then to get to this point. It was when I decided to write YA. Truly. 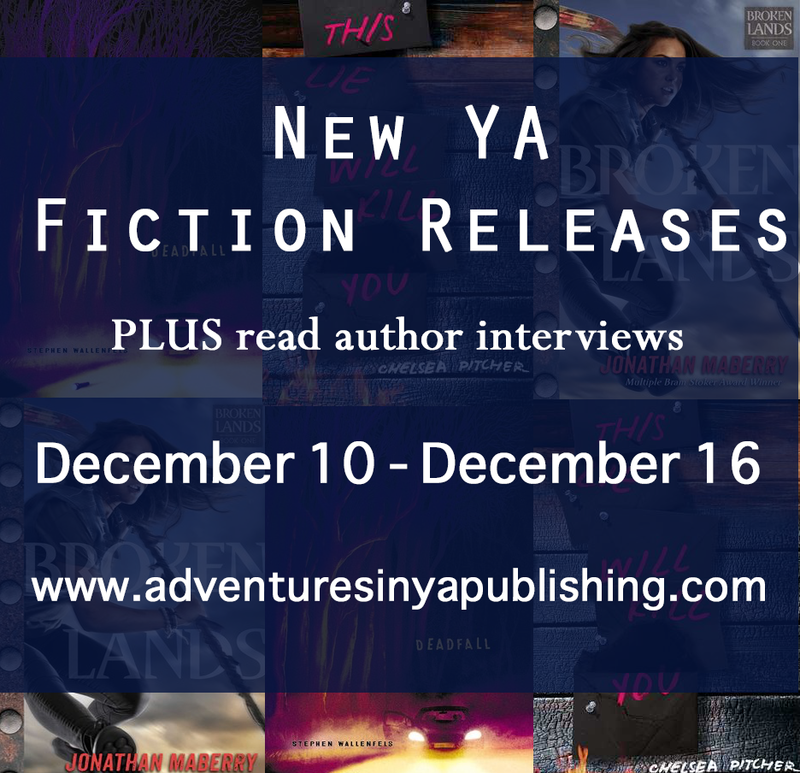 I wrote probably a dozen novels before that, mostly romance, and then when I was on the verge of signing with an agent, I realized my passion was young adult fiction. I basically had to start over and learn the genre and the pacing and what the market was looking for all over again. But by that time, I knew the steps. 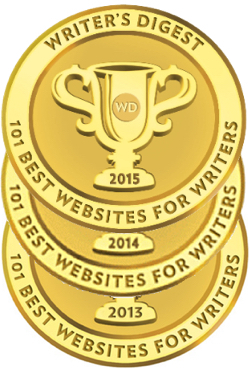 Get a killer critique partner(s), read EVERYTHING, enter contests, get feedback, and keep trying. I usually start with listening to music on the playlist I’ve created for the story I’m working on and pacing (I walk several miles a day when I’m writing a first draft 😊). Then I can work anywhere once I’m ready. It’s usually at home on my couch with my laptop. Read everything you can get your hands on until you find something that blows you away and makes you want to write a dozen more stories like it. Then harness that passion and get to work. Also, don’t give up. If writing is truly your calling, you have to know that it will hardly ever work out how you expect, so you just have to keep trying until you achieve what you’ve set out to achieve (whether that’s publication or completing your first full novel). I’m a bad girl and I keep coming up with new ideas I want to work on and I’ve yet to commit. 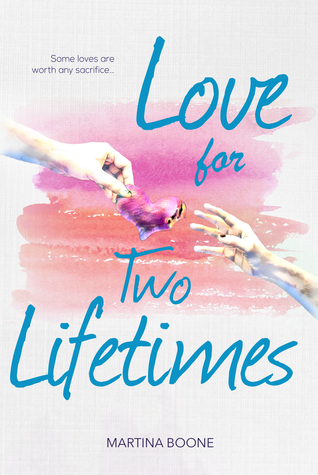 Two are contemporary stories, one that’s a very Jandy Nelson sounding tone with a Breakfast Club twist. The other is a straight-up sci-fi idea I got from a dream. It’s a little bit like Titanic in space. With androids. And robots. And romance. Cindy began creating worlds as a kid, entertaining her siblings with spontaneous ghost stories before bed. She filled notebooks with novels and ideas and realized quickly she wanted to be a writer as an adult. Now Cindy lives in the foothills of the Rocky Mountains and loves using Colorado towns and cities as inspiration for settings in her stories. She’s the mother of three girls who provide plenty of fodder for her YA novels. 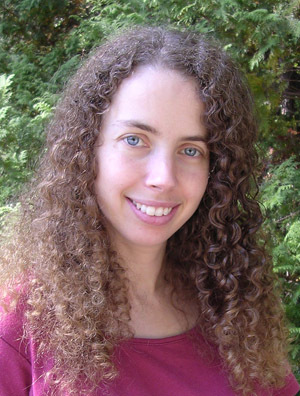 Cindy writes speculative and contemporary YA fiction, filled with a healthy dose of romance. She’s represented by Stacey Donaghy of Donaghy Literary. Have you had a chance to read PAPER GIRL yet? Have you incorporated you own experiences with a disorder into your characters? Are you reading everything you can get your hands on? Share your thoughts about the interview in the comments! Happy Monday and Happy December! We're starting the last month of the year with some awesome giveaways. 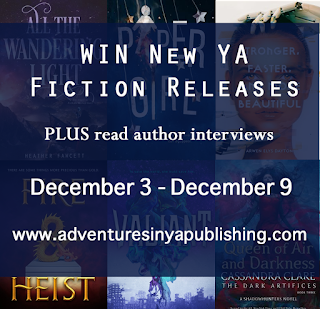 Make sure to enter to win below, and check out the other awesome books being released this week! P.S. Due to mix-up on our end, we have added last week's giveaways to this week so there is now a total of seven giveaways up for grabs!! Make sure to enter! 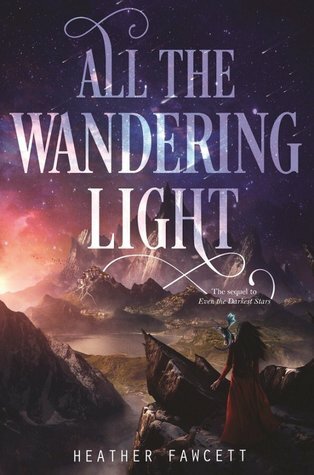 Author Question: What is your favorite thing about All the Wandering Light? Can I choose two? 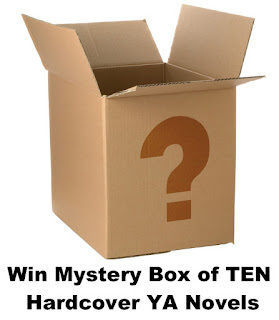 The first was getting to write from several different characters' perspectives--I won't reveal which ones, because that would give the story away! 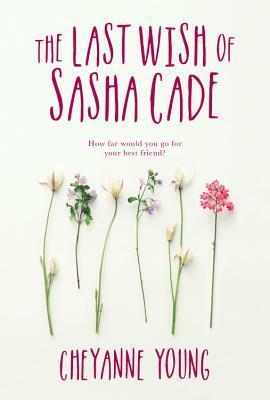 The other thing was exploring the relationship between two sisters (which, in many ways, is the heart of the series), which isn't something we see often enough in YA. 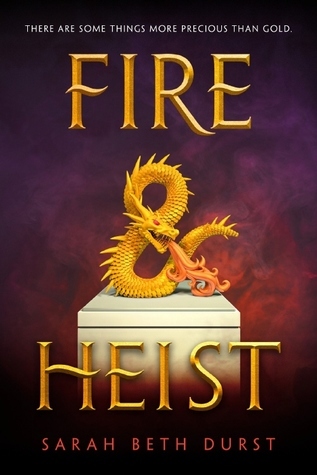 Author Question: What is your favorite thing about Fire & Heist? I remember the exact moment I had the idea for this story: I was in the kitchen, talking with my family about heist movies, and I said, "I want to write Ocean's Eleven with were-dragons!" And I rushed off to my desk to jot the idea down. Of course, the story grew and evolved from there, as stories do, but that's where it began. I've always been obsessed with dragons. I spent most of my childhood in the woods behind my house searching for a dragon's egg. (No luck, sadly.) I have always secretly felt that there is no story that cannot be improved by the addition of a dragon. My new YA book, FIRE AND HEIST, takes place in Aspen, Colorado. Sort of. It's our world but with were-dragons (like werewolves, except less furry and more, you know, dragon-ish). My protagonist is sixteen-year-old Sky Hawkins, a socialite from a family of master thieves... and a were-dragon who must lead her first heist, if she wants to be accepted by her society. But on the night of her first heist, she discovers a dark truth that could reunite her family or tear them apart forever. I hope that you'll enjoy adventuring with Sky and her friends as much as I did! Author Question: What is your favorite thing about Paper Girl? I love PAPER GIRL because it’s real. Every scene, character trait, and hardship was drawn from real life. I typically tend to write stories with a strong, proactive heroine or plots that lean toward speculative or with unique situations I’ve never experienced—ones that are completely made up. But PAPER GIRL is a story of my heart, of my life, and it’s wonderful how I’m able to reach a completely different set of readers with something we can both relate to. Author Question: What is your favorite thing about Valiant? The thing I loved the most about VALIANT was the idea that one girl had the responsibility of saving the world—but she wasn’t a typical hero. She wasn’t the strongest girl or the tallest girl or the smartest girl or the prettiest girl. In many ways, she was extremely average. What she had was a quality that many of us lack: Determination. Sara was motivated out of love. She would save the world because that was what she had to do to save her younger brother, Gabe. I also loved the concept that the fate of the world rested upon saving the life of one person. This quote is at the beginning of the book: “Whoever saves a single life, saves an entire universe.” From the Mishnah, Sanhedrin 4:5. So, for me, this concept that the future of the human race could depend on the life of one teenage girl or boy was a magnificent premise. Built within it is the awesome belief that we are all important and more valuable than anyone can fathom. I truly believe that. Author Question: What is your favorite thing about Amber & Dusk? In many ways I wrote this book to be everything I loved to read. Prose like gilded dreams. 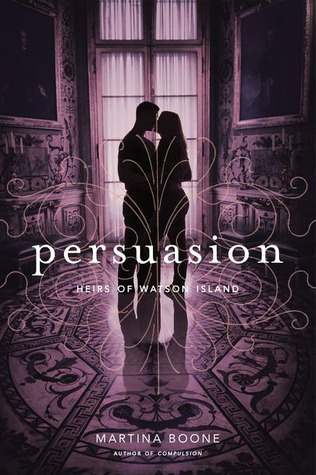 An impossible, intoxicating world; ball gowns and courtly politics and sarcastic banter and ulterior motives. 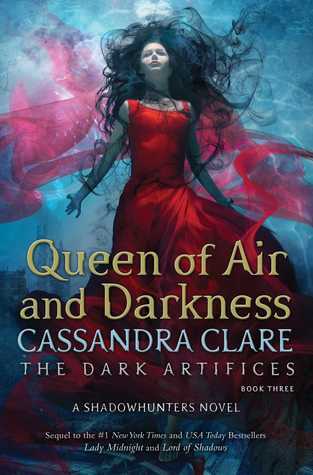 An ambitious, complicated heroine who dreams of a place where she can finally belong--a world as glossy as the colors spilling like jewels from her fingertips. It's the book of my heart in so many ways, which makes it hard to choose a favorite thing! But if I had to pick one, it would have to be my MC Sylvie's magical power--the power of illusion. I spent a lot of time lingering over the descriptions of her power and its manifestation in her world, making sure every last word captured its breathtaking hold on my imagination. In some ways, it felt like her power to create illusions echoed the very act of writing--breathing life into perilous dreams and creating impossible worlds from nothing. I hope you enjoy reading it as much as I enjoyed writing it! 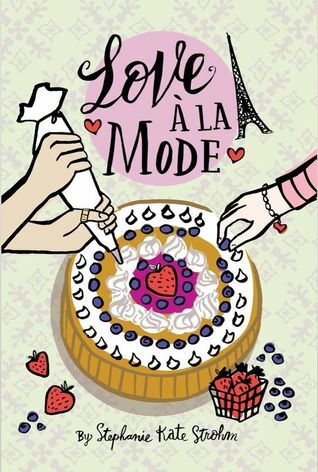 Author Question: What is your favorite thing about Love à la Mode? My favorite thing about LOVE A LA MODE is the food! I absolutely love food: I love eating it, cooking it, learning about it, everything. Leafing through the glossy pages of a brand-new cookbook is one of my favorite things, and you can always catch me watching Food Network, the Cooking Channel, and my two favorite shows, Top Chef and the Great British Bake-Off. Although there's pretty much nothing that I won't eat (except for olives - I really hate olives), all of my favorite foods are dessert. Just like Rosie in LOVE A LA MODE, I love to bake, and to me, the fact that sugar, butter and flour come together to make so many incredible treats is nothing short of miraculous. I've never studied pastry formally - I'm just a passionate home baker - but being able to pour my love of pastry onto the page was my favorite part of the writing process. I hope that all of my readers get very, very hungry reading this book! Author Question: What is your favorite thing about Unpresidented: A Biography of Donald Trump? It’s the first-ever critical biography of a sitting president for young readers. Equally important, it tells the truth about who Trump is and what he has done and said throughout his life. MacKenzie Rivers knows the kind of impact death can have on those it leaves behind. She's felt that grief firsthand. So when Jaden, her crush and almost-boyfriend, loses his parents in a car accident, MacKenzie steps back. It might not be the right thing to do, but with an alcoholic mother and a father who deals with their family problems by not dealing at all, self-preservation is her only option. Then the pair meet by chance one night, reunited for the first time in months. Before MacKenzie can throw up her walls again, old feelings resurface and new memories are made. MacKenzie has missed Jaden more than anything. But can she dare to fall for the one person she's so afraid of growing close to? Jake Hammond is the current Prince of Juniper Falls. He’s also been labeled the next great player to emerge from the Juniper Falls hockey dynasty. 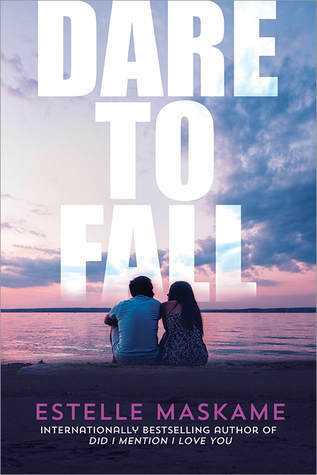 When a hundred-year-old hazing tradition at Juniper Falls pond goes all wrong, Jake is left seriously injured, shouldering the blame for the near death of another student and the knowledge that the quiet new girl saved his life. Maybe if she’d realized how different this small town was from Austin, Brooke Parker wouldn’t have followed her mom here. Not that she had a choice. Same with saving that cocky hockey player from drowning at the pond. Now, she keeps seeing that same guy, wandering the woods between their houses. And they start to regularly meet at midnight in Jake’s old tree house. Jake realizes that Brooke is full of life, ideas, places, and experiences bigger and broader than anything he’s ever known. 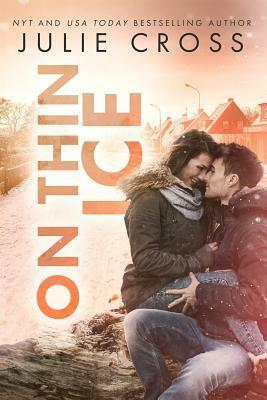 Plus, she’s the first person to ever see him as Jake Hammond, a guy who’s not sure what to do with his life, rather than the future hockey star. Maybe it isn’t enough anymore to just be the town hockey star? For Brooke, relying only on herself might not be enough, either.